Why use EverLog Systems’ products? Great question! Below you will hear from clients, builders, architects, engineers and other industry professionals. 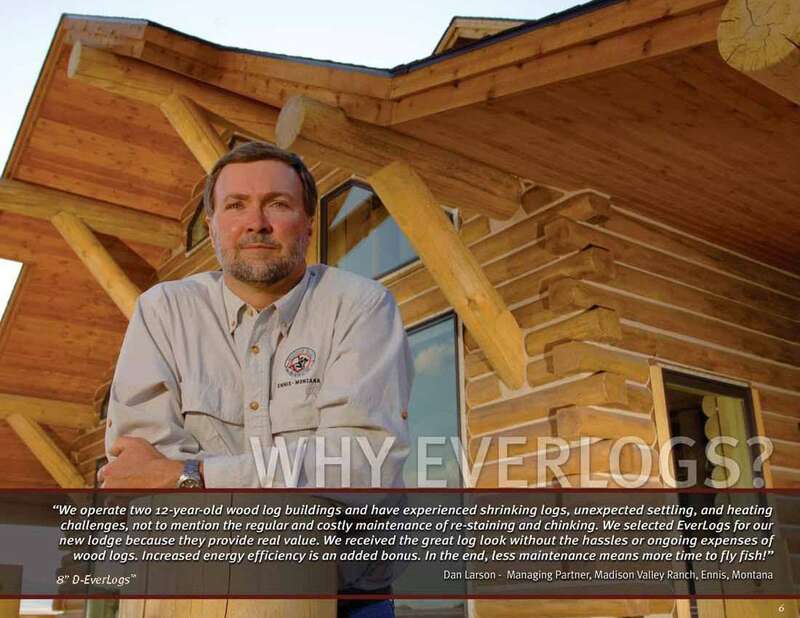 They offer their insights and thoughts into why they selected concrete log home products by EverLog Systems. "Just wanted to thank you and wish you a happy New Year! Absolutely love our new home. Thank you." 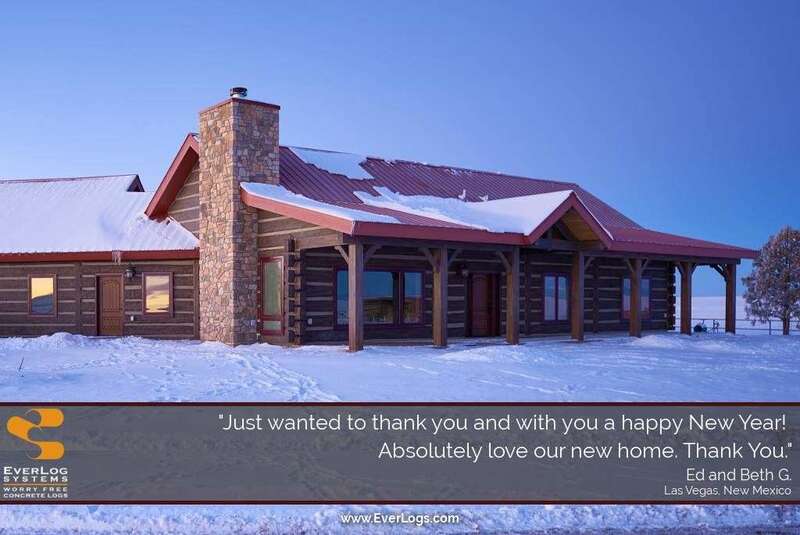 "Just wanted follow-up with you and let you know how pleased Sue and I are with our EverLog Siding. It looks beautiful and we continue to get compliments from everyone who sees it, (have had a number of folks that simply stop while they're driving by to inquire as to where we got it). Your folks were great and the results speak for themselves." "I just want to let you know how great your product looks on the house. We have both the Board and Batten and the 10" Plank log siding. With little to no maintenance, it was a no-brainer for us. Love it, love it, love it... Thanks so much for your beautiful product." 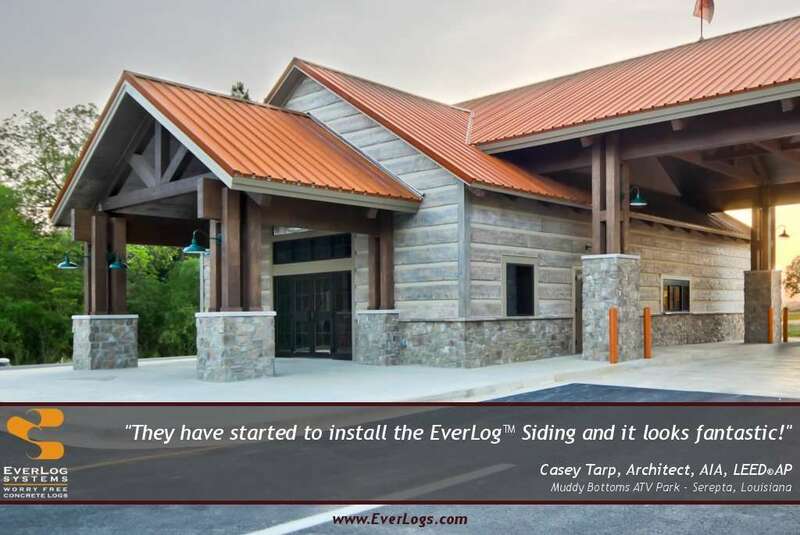 "We are very impressed with EverLog Systems. In Florida, the combination of high winds, rain, and a generally hot and humid climate, really stress all construction materials. 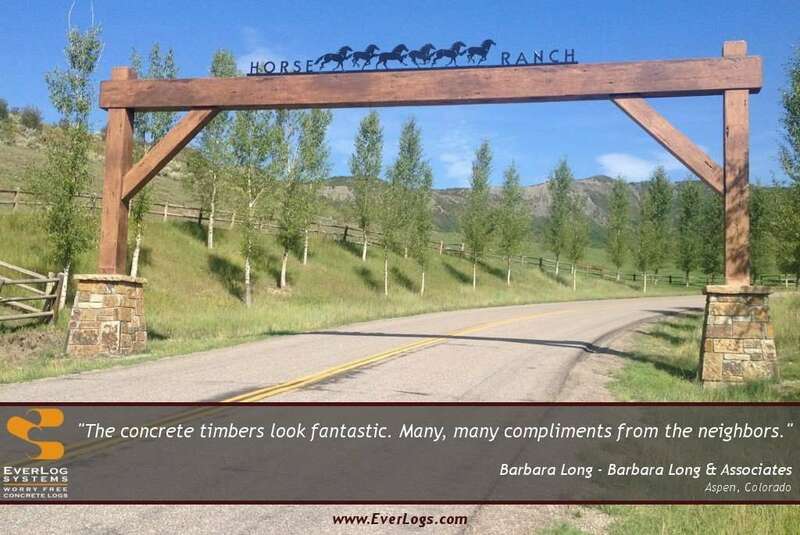 EverLogs is a great solution. 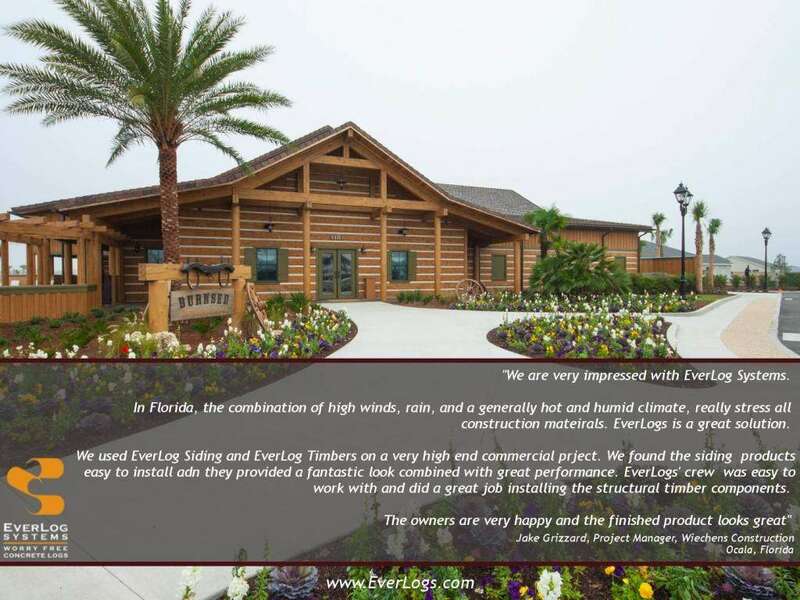 We used EverLog Siding and EverLog Timbers on a very high end commercial project. We found the siding products easy to install and they provide a fantastic look combined with great performance. EverLogs' crew was easy to work with and did a great job installing the structural timber components. The owners are very happy and the finished product looks great." "We had snow at the lake cabin over Christmas and your logs kept us nice and cozy. The radiant heat in the floors and the Tulikivi fireplace is just what the doctor ordered for the heat retaining capabilities of the concrete logs." "Everything is PERFECT. You guys did a fantastic job!" 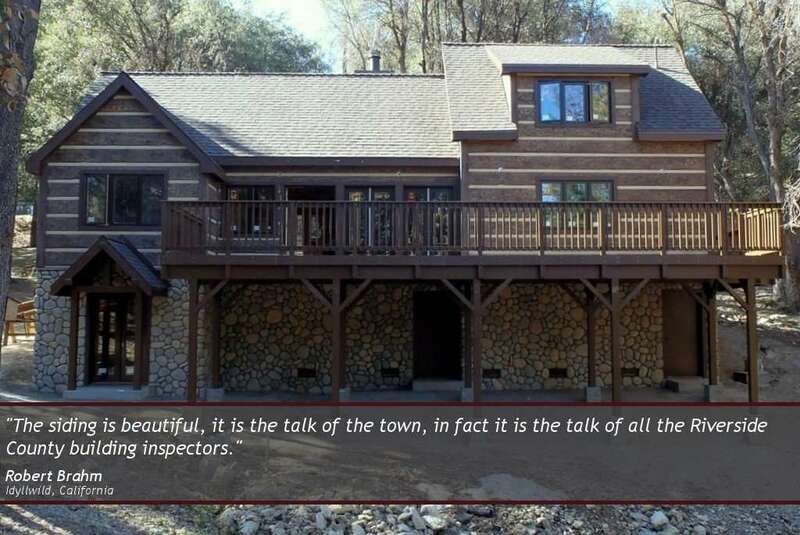 "The siding is beautiful, it is the talk of the town, in fact it is the talk of all the Riverside County building inspectors." "When my wife and I decided to build the home we plan to live in for the rest of our lives we also wanted a house that would be a legacy for generations to come. We wanted a log house built but weren't excited about the maintenance issues that usually accompany that construction method." 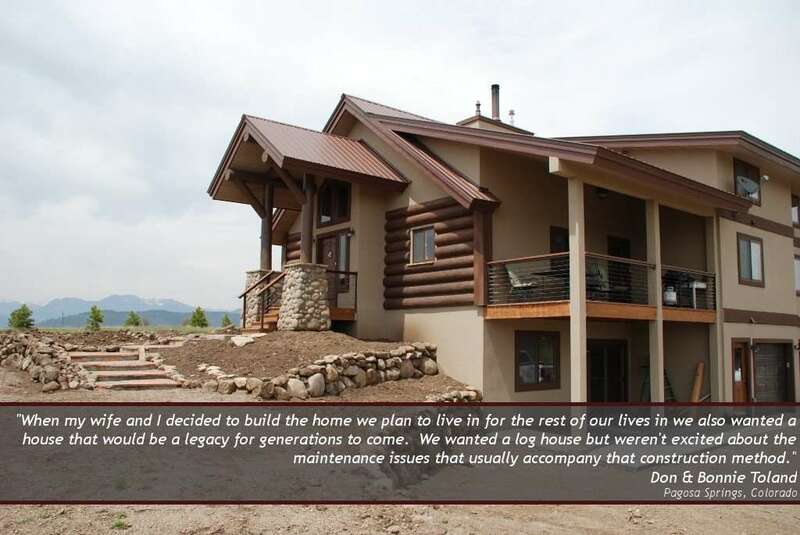 "For the people who are considering a log home, I think it's the best way to go, it's forever." "I had no idea they were concrete simulated logs until I went up and touched them and I'm a Certified Arborist!" 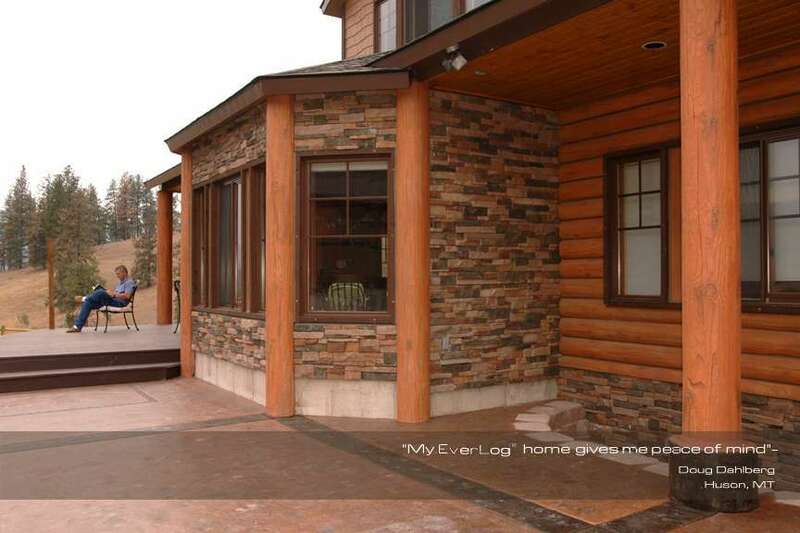 "... the log entry porches look fabulous! They look better than real logs." 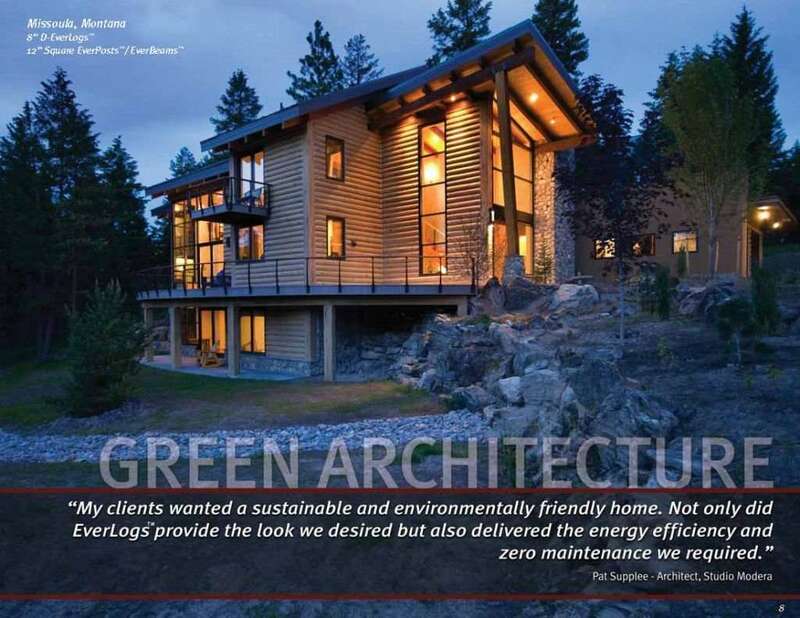 "My clients wanted a sustainable and environmentally friendly home. 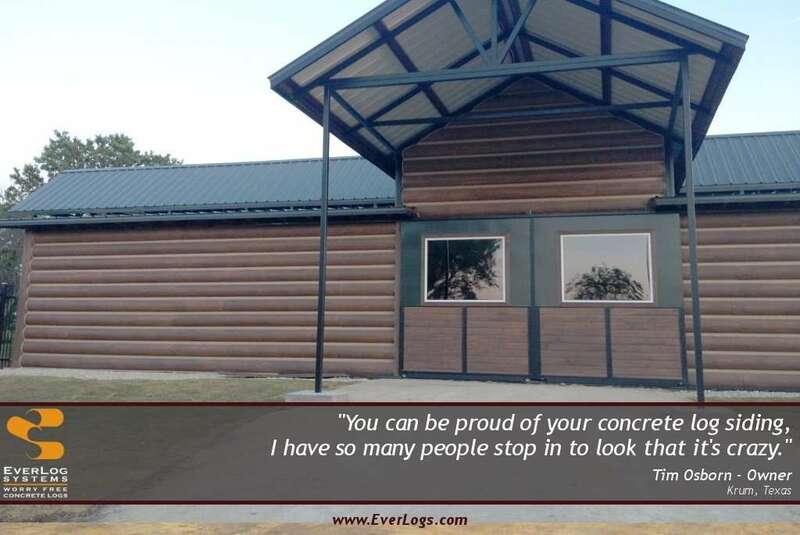 Not only did EverLogs™ provide the look we desired but also delivered the energy efficiency and zero maintenance we required." 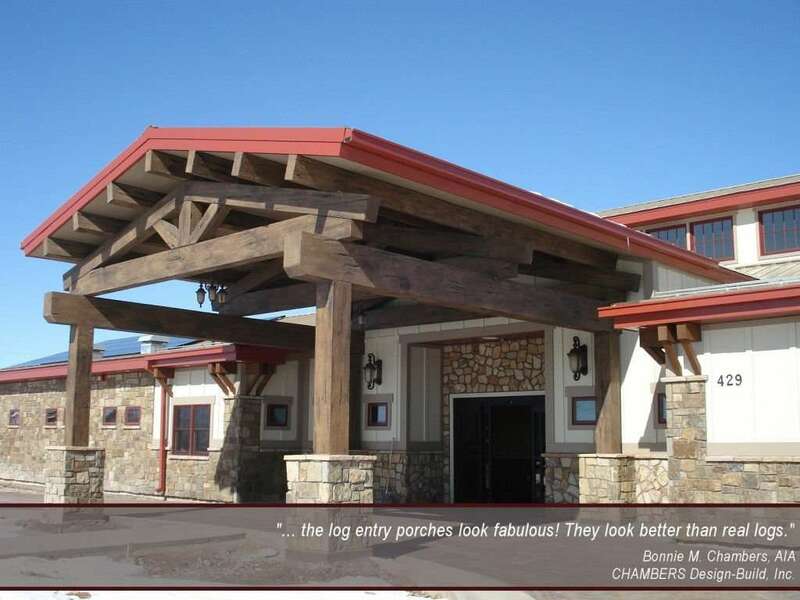 "We operate two 12-year-old wood log buildings and have experienced shrinking logs, unexpected settling, and heating challenges, not to mention the regular and costly maintenance of re-staining and chinking. 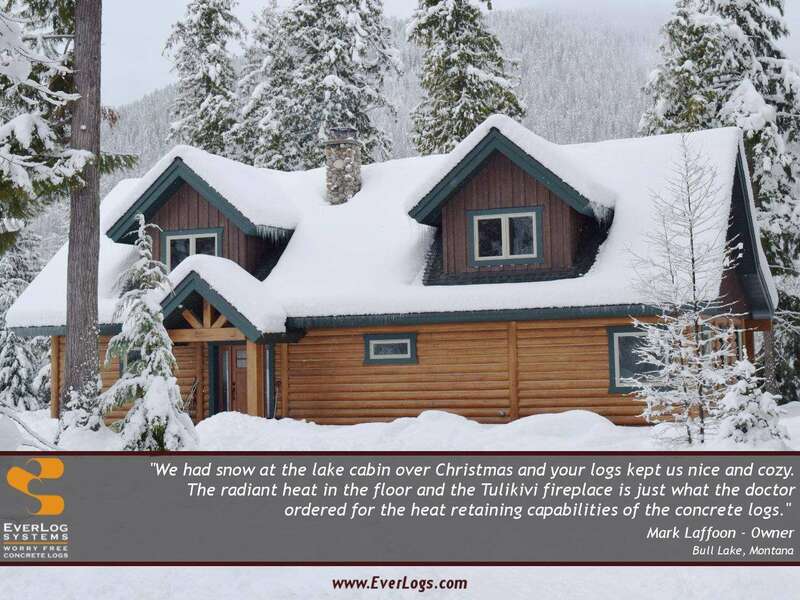 We selected EverLogs™ for our new lodge because they provide real value. We received the great log look without the hassles or ongoing expenses of wood logs. Increased energy efficiency is an added bonus. In the end, less maintenance means more time to fly fish!" 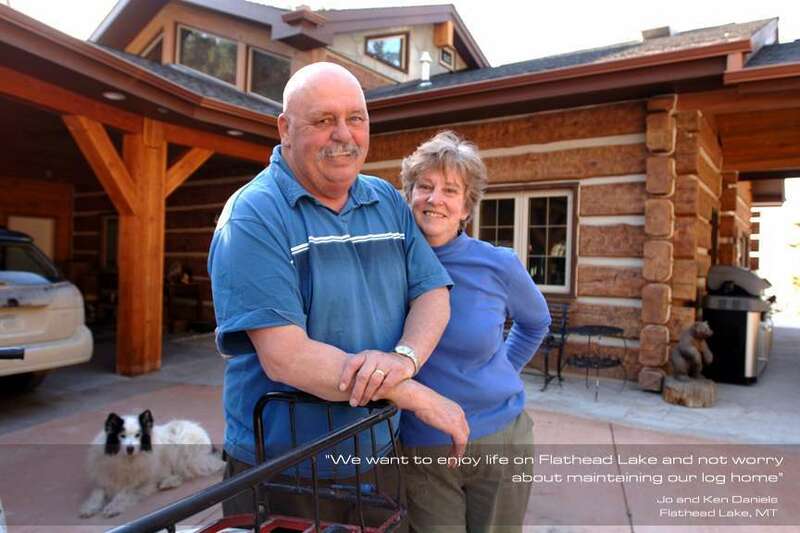 "We want to enjoy life on Flathead Lake and not worry about maintaining our log home." 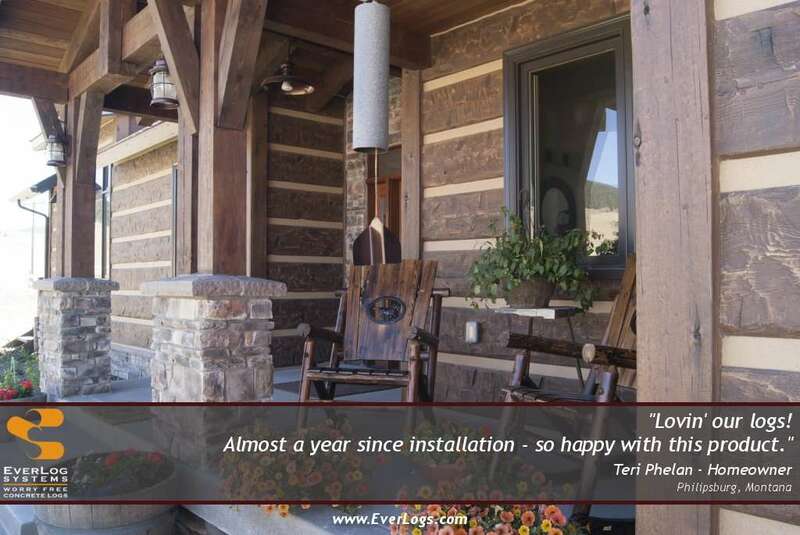 "My EverLog™ home gives me peace of mind." 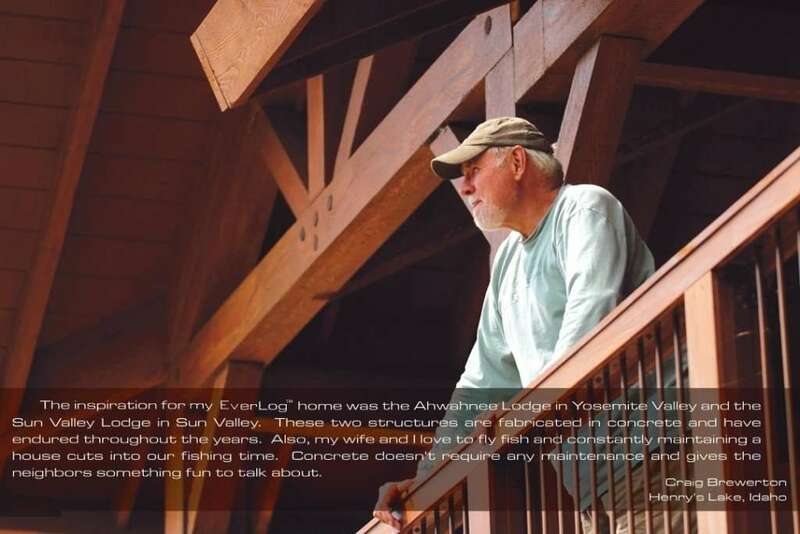 "The inspiration for my EverLog™ home was the Ahwahnee Lodge in Yosemite Valley and the Sun Valley Lodge in Sun Valley. These two structures are fabricated in concrete and have endured throughout the years. Also, my wife and I love to fly fish and constantly maintaining a house cuts into our fishing time. Concrete doesn't require any maintenance and gives the neighbors something fun to talk about." 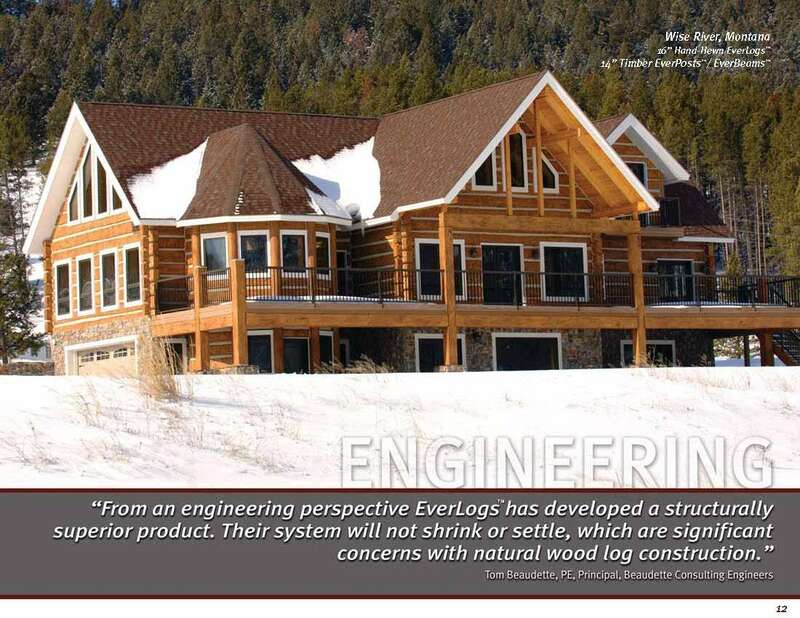 "From an engineering perspective EverLogs has developed a structurally superior product. 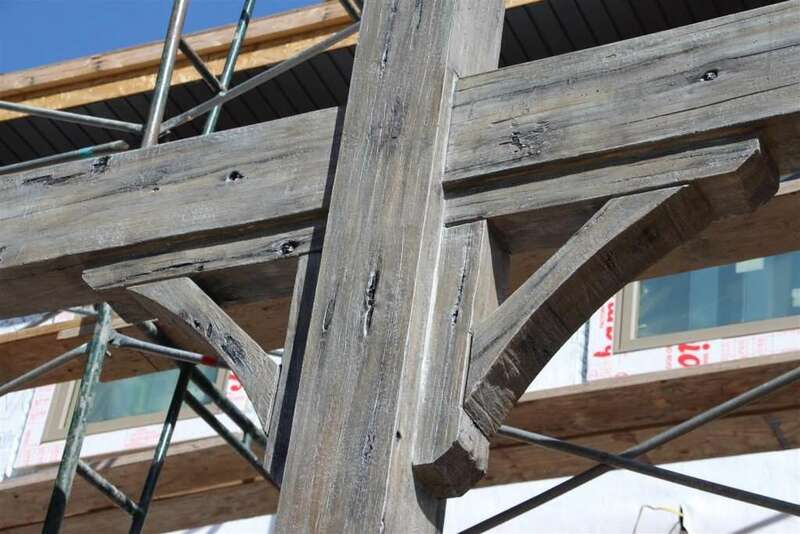 Their system will not shrink or settle, which are significant concerns with natural wood log construction." 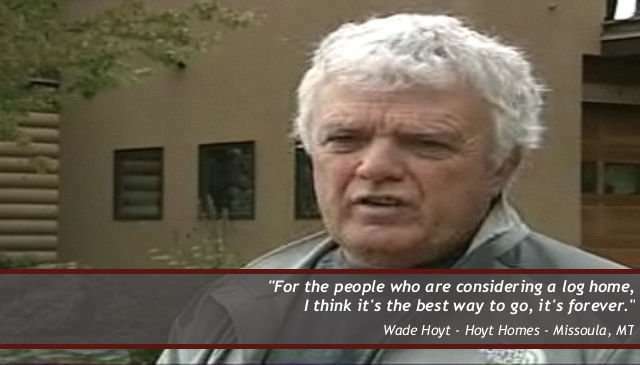 "I evaluated a variety of concrete siding products. 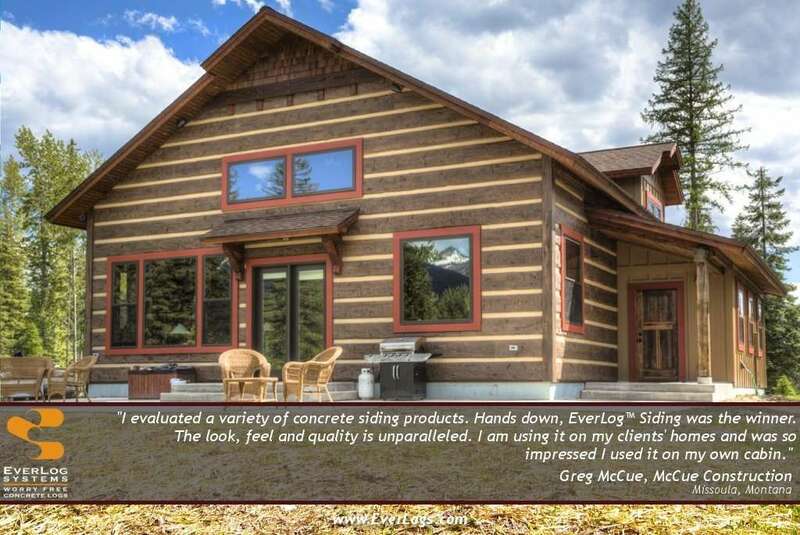 Hands down, EverLog™ Siding was the winner. The look, feel and quality is unparalleled.  I am using it on my clients' homes and was so impressed I used it on my own cabin." "The concrete timbers look fantastic. Many, many compliments from the neighbours." 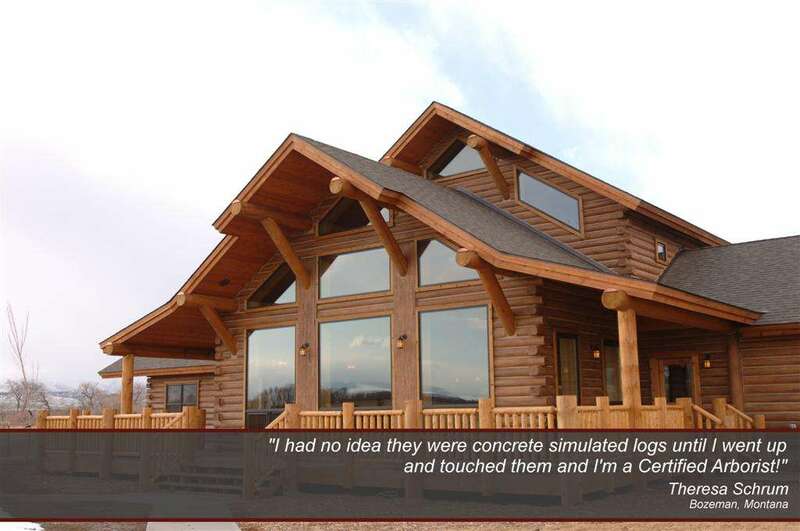 "You can be proud of your concrete log siding, I have so many people stop in to look that it's crazy." 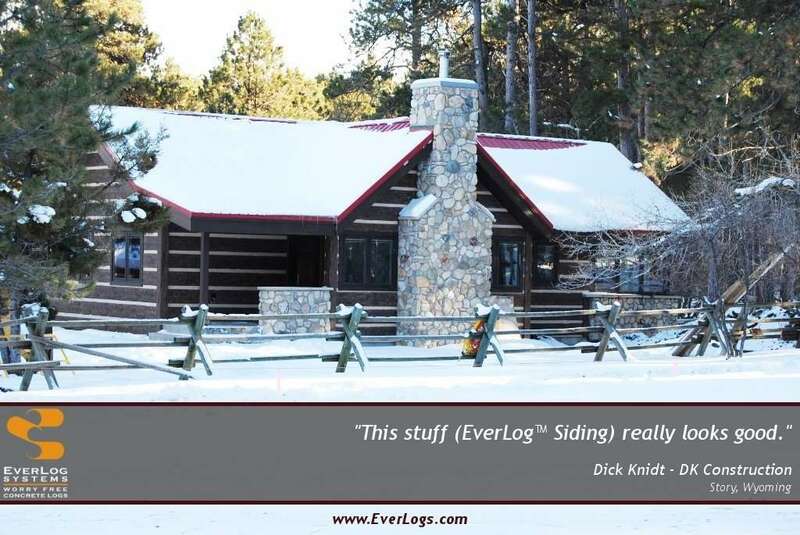 "This stuff (EverLog™ Siding) really looks good." 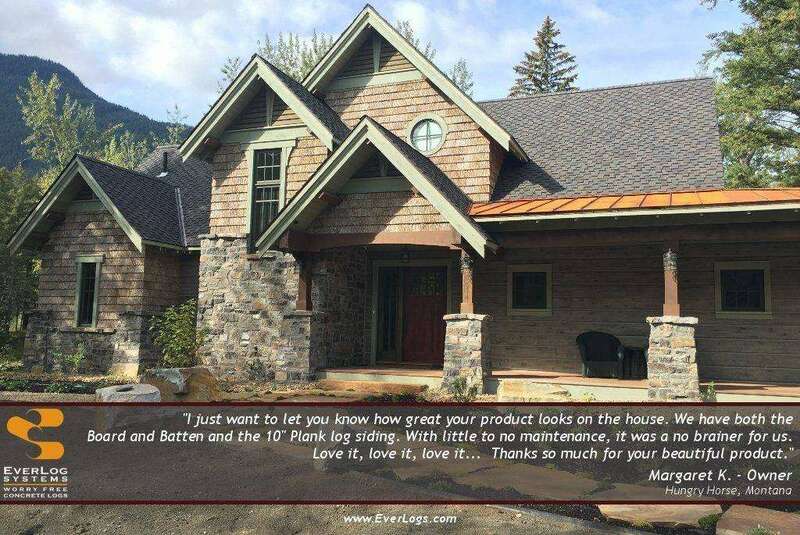 "They have started to install the EverLog™ Siding and it looks fantastic!" "Lovin' our logs! Almost a year since installation - so happy with this product."